Serving the Kern County area for over 60 years! General Office Machine Company's goal is to partner with your organization in order to lower your overall cost and increase your efficiency when putting print to page. We specialize in Lanier products, which are a part of the Ricoh Family group, a leader in the document management industry. 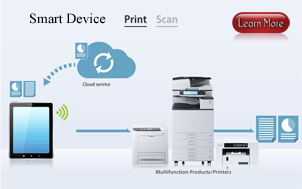 Some of the products we provide are digital copiers, fax machines, laser printers, scanners, and software solutions. Other services and products we provide are computer networking and support and phone systems. We are also now proud to offer the full line of Ricoh Interactive White Boards. General Office Machine Company has been serving the office machines needs of the Kern County area for over 60 years. Our professional staff will work to find the very best solution to your office equipment needs. From expert maintenance and repair to friendly consultation and advice, we're just a phone call away. We are constantly looking for ways to improve our services to reach your satisfaction. We would appreciate any thoughts or advice you may have regarding our services. Please feel free to leave us a message via the web site by clicking "Contact Us".